The last time boxing legend-senator-playing coach Manny Pacquiao suited up for the Mahindra Enforcers, the team was pretty much in the same state when it joined the PBA: perennial cellar dwellers. This season, though, the oft-dismissed squad is atop the standings (with TNT Katropa) with a 4-0 win-loss record, its best start ever in franchise history. Aside from the consistently superb play from reinforcement James White, rookie coach Chris Gavina now has the luxury of locals stepping up to complement their Best Import front-runner. Mahindra's new lease on life was evident during last night's Governors' Cup come-from-behind 101-95 win against a hungry Alaska Aces squad (now 1-3). And we honestly believe that Kuts Manny was instrumental—if not, the key—to his team's triumphant bid to stay perfect. Halfway through the first quarter, the Araneta crowd erupted upon the sight of Manny approaching the scorer's table. 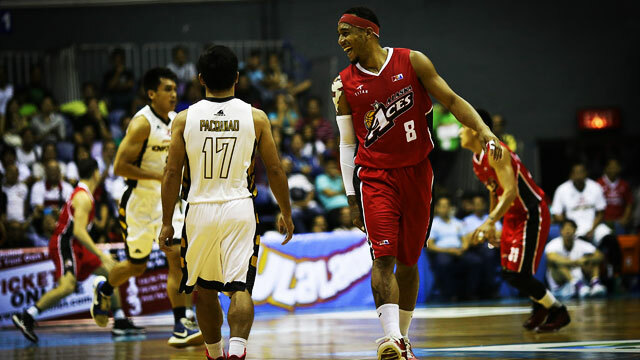 The roar only grew louder when the "People's Champ" was matched up against none other than "The Beast," Calvin Abueva. Don't be fooled by the eight points (two three-pointers) scored by Calvin over Manny. That is what heroes do—get beat up first, before delivering the knockout blow. Which is basically what happened during the course of the game. Down by as much as 16 points, the Enforcers clawed their way back into the game, thanks to a second-half barrage from KG Canaleta and the timely basketsw by White, who finished with 32 points and 15 rebounds. We have a strong feeling that Manny had a little pep talk with team captain Canaleta at halftime. Rookie Keith Agovida and Michael DiGregorio also rewarded their coach's trust in crunch time. The latter scored all of his seven points in the final canto, while Agovida put the finishing touches with a couple of clutch plays. 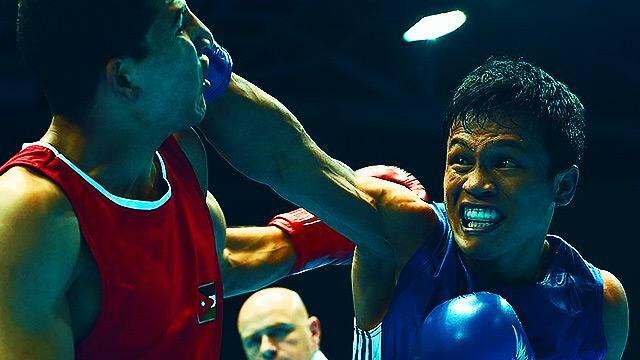 We'd bet our lives that it was Kuts Manny who whispered to Gavina to put the two in. His impact on the game might not be apparent on the box score (played more than two minutes, 0 of 1 from the field), but it clearly is beyond that. Manny—despite being criticized for juggling his duties in sports and public service too much—being in Mahindra's bench is enough of an inspiration to a team looking to break free from league mediocrity.